If you’ve been wanting to put a fresh spin on your airport style, look no further than Carbon38’s Passport Collection which launched on July 20. A company with roots in activewear, it applied a comfortable, high-tech design approach to pieces you can slip into outside the gym. Inspired by on-the-go modern women, the 14-piece collection strikes the perfect balance between comfort and style. It includes cool silhouettes with a feminine (but sportswear-driven) feel like off-the-shoulder dresses, structural sweatshirts, and bell-sleeve tops. 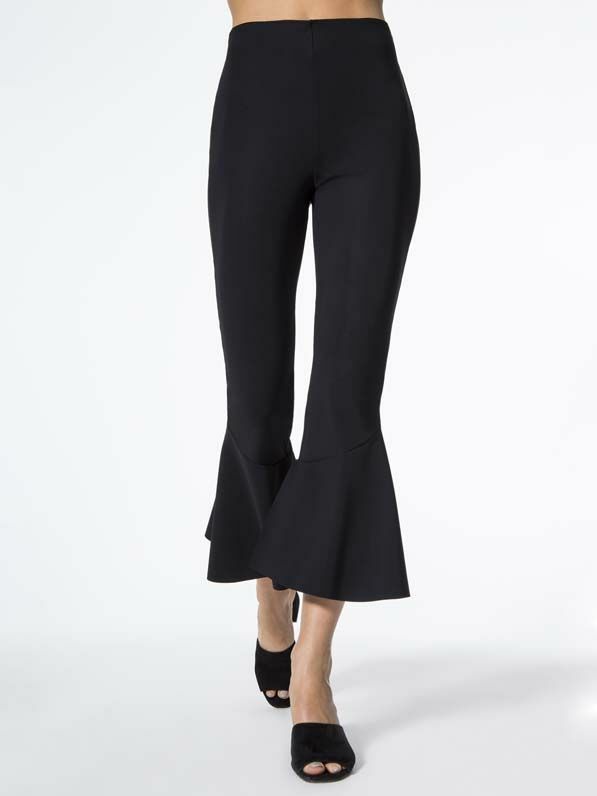 One of the standout pieces, though, is a pair of high-waisted flared leggings that we’re sure will prove to be an airport outfit staple. And since all the items are crafted from specialty fabrics that resist wrinkling, you don’t have to worry about throwing them in your suitcase. You can find more details about the launch here. Go on to watch a video from the launch and to shop some of our favorite picks from Carbon38’s Passport Collection. Style these pants with a white tee and a bomber jacket. A gray sweatshirt is a necessary gym-bag addition. The flared-sleeve detail is subtle yet very fashion forward. Throw on a pair of your favorite pumps and gold jewelry with this red off-the-shoulder dress. Next, find out what French girls really think about American style.